The resort is situated on a point of land, so all of our cabins and RV sites are on the lake. We offer cabin accommodations from studios to a four-bedroom cabin. Come relax and enjoy northeastern Washington! Tiffanys Resort is located on the west shore of beautiful Curlew Lake in northeastern Washington State. 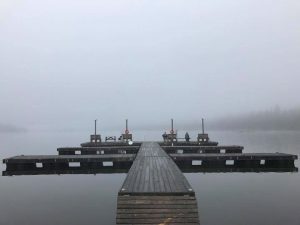 Curlew Lake provides year round fishing with Washington’s premier Rainbow Trout fishery, Largemouth Bass, Perch and state record Tiger Muskie fishing. 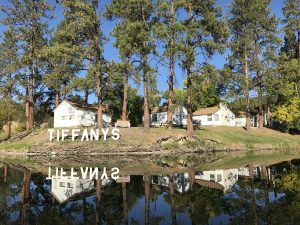 Tiffanys Resort has docks for boat storage and a lighted dock for night fishing. We also provide a concrete launch ramp, all at no additional charge to our guests. Spend your vacation doing what you love to do! 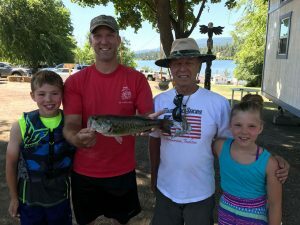 Whether you go fishing and boating on the lake, enjoy reading a book on our sandy beach, or play horseshoes with the family… we’re confident you’ll escape, relax, enjoy…and come back! Come enjoy all Curlew Lake has to offer while staying at our private 5 acre resort. We offer 19 modern cabins, 15 full hook-up RV spaces and a few beautiful tent campsites, all with spectacular views of nature at its finest. We have 19 waterfront cabins, ranging from quaint one room studios to a spacious four bedroom single story cabin with a large deck. We’re confident you’ll feel you’ve gotten your money’s worth vacationing with us. Check out our cabin, RV, tentsites & rental pricing here! Whether here to hunt, fish, enjoy a peaceful getaway or celebrate your annual family reunion, we want it to be memorable.